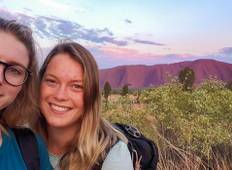 Find the right tour for you through Uluru - Kata Tjuta National Park. 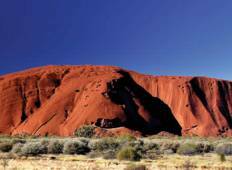 We've got 117 tours going to Uluru - Kata Tjuta National Park, starting from just 3 days in length, and the longest tour is 25 days. The most popular month to go is September, which has the most number of tour departures. "Really good itinerary, some the organisation of activities could have been more organised,..."
"The tour exceeded our expectations. There is nothing you could do better. It was..."